Tripathy, J. “The Broom, the Muffler and the Wagon R: Aam Aadmi Party and the Politics of De-elitization”. International Quarterly of Asian Studies. Vol. 48, No. 1-2, 2017. Pp. 77-95. Tripathy, J. “Feminist Utopia (? ): Space-making and Other Possibilities”. Journal of Contemporary Thought. No. 33, 2011. Pp. 137-152. Tripathy, J. “Fakir Mohan Senapati’s Six Acres and a Third: Towards a Bio-political Literature”. Journal of Contemporary Thought. No. 36, 2012. Pp. 159-174. Tripathy, J. “The Postcolonial Native American.” Asiatic. Vol. 3, No. 1, 2009. pp: 40-53. Tripathy, J. “The Revenge of Humanities.” Journal of Contemporary Thought. No. 29, 2009. pp: 85-101. Tripathy, J. “Democracy and its others”. Journal of Third World Studies. Vol. 27, No. 1, 2010. pp: 253-272. Tripathy, J. “Postcolonial Resistance and Native American Postcoloniality”. Creative Forum. Vol 22, No. 1-2, 2009. pp: 7-22. Tripathy, J. “Territory and Identity: The Indian Experience.” South Asian Review. Vol. 29, No. 2, 2008. pp: 133-157. Tripathy, J. “Frontier Legacy of America”. Indian Journal of Political Science. Vol. LXIX, No. 1, 2008. pp: 165-176. Tripathy, J. “Puritan Legacy of America”. Indian Journal of Politics and International Relations. Vol. 1, No. 1, 2008. pp: 25-42. Tripathy, J. & Mohapatra, D. “Transcending Developmental Binaries: Women Empowerment through Dairy Farming in Orissa”. Loyola Journal of Social Sciences. Vol. 21, No 2 2007. pp. 197-218. Tripathy, J. “Postmodern India? The Nation in spite of Fragments”. Indian Journal of Political Science. Vol. LXVIII, No-2, 2007. pp. 355-371. Tripathy, J. “Decimation as Civilization in Colonial America”. Journal of Language, Literature and Culture Studies. Spring 2007. pp. 100-115. Tripathy, J. “Ecocriticism and Ecofeminism: Pushing the Limits of Postmodernism”. ICFAI Journal of English Studies. Vol. 2, No-1, 2007. pp. 52-63. Tripathy, J. “Towards an Essential Native American Identity”. Canadian Journal of Native Studies. Vol. XXVI, No-2, 2006. pp. 313-329. Tripathy, J. “Postcolonial Resistance to Postmodernism”. Critical Practice. Vol. XII, No-1-2, 2005. pp.9-35. Tripathy, J. “Transformed Postcoloniality: Delegitimation of Purity in Native Writing”. Atlantic Literary Review. 4. 1-2 (2003). pp. 196-211. Tripathy, J. “Culture, Colonialism and Sexuality: An Ecofeminist Umbrella for Queers”. Critical Practice. 10.1 (2003). pp. 1-15.
International Quarterly for Asian Studies 48, Spring 2017. Guest edited by Uwe Skoda & Jyotirmaya Tripathy for the special number on Cultural Elites and Elite Cultures in South Asia. Published by University of Freiburg. Becoming Minority: How Discourses and Policies Produce Minorities in Europe and India. Eds. Jyotirmaya Tripathy and Sudarsan Padmanabhan. New Delhi: Sage, 2014. The Democratic Predicament: Cultural Diversity in Europe and India. Eds. Jyotirmaya Tripathy and Sudarsan Padmanabhan. New Delhi: Routledge, 2013. After Globalization: Essays in Religion, Culture and Identity. Ed. Jyotirmaya Tripathy. New Delhi: Allied Publishers, 2007. The Resisting Indian: Native American Experience through Postcolonial Lenses. Jyotirmaya Tripathy. Sarup and Sons: New Delhi, 2008. Abraham Lincoln without Borders: Lincoln’s Legacy outside the United States. Eds. Tripathy, J, S.P. Rath and W.D. Pederson. Pencraft International: New Delhi, 2010. Raghavan, A & Tripathy, J. “Corporealizing Cosmopolitanism: The Right of Desire”. Cosmopolitanism and Beyond. Ed. Ananta K. Giri. Springer: New Delhi, 2017. Pp. 233-256. Tripathy, J. “Indian Environmentalism and its Fragments”. Ecoambiguity, Community and Development. Eds. Scot Slovic et al. Lexington Books: Lanham, 2014. Pp. 71-84. Tripathy, J. and Sudarsan P. “Becoming a Minority Category”. Becoming Minority: How Discourses and Policies Produce Minorities in Europe and India. Sage: New Delhi, 2014. Pp. 3-23. Tripathy, J. “Territory and Indian Identity: Postcolonial and Postmodern Perspectives”. India in the Contemporary World. Eds. Jakub Zajaczkowski et al. Routledge: New Delhi. Pp. 64-81. Tripathy, J. and Sudarsan P. “Introduction: Democracy and the Production of Cultural Diversity”. The Democratic Predicament: Cultural Diversity in Europe and India. Eds. Jyotirmaya T. and Sudarsan P. Routledge: New Delhi, Abingdon: Routledge, 2013. Pp. 1-34. Tripathy, J. “Introduction: Theorizing/ Operationalizing Globalization” in Tripathy, J. Ed. After Globalization: Essays in Religion, Culture and Identity. Allied Publishers: New Delhi, 2007. pp. 1-25. Tripathy, J. and Anjali Roy. “Academic Invasion and the Civilizational Frontier: Re-reading Manju Kapur’s Difficult Daughters”. Stars behind the Clouds. Ed. Syed Mashkoor Alli. Jaipur: Surabhi Publications, 2004. pp. 107-126. Tripathy, J. “In the Dark Night of the Cell: A Psychoanalytic Study of Dharanidhar Sahu’s House of Serpents”. Stars behind the Clouds. Ed. Syed Mashkoor Alli. Jaipur: Surabhi Publications, 2004. pp. 28-43. Tripathy, J. “Cultural Contestation in Australian Aborigine Women Autobiographies”. Studies in Commonwealth Literature. Ed. Mohit K. Ray. New Delhi: Atlantic Publishers, 2003.pp. 168-180. Tripathy, J. and Anjali Roy. “Return of the Referent: Nature as Subject in Ruby Slipperjack’s Honour the Sun and Silent Words”. Beyond Resistance: Critical Essays on Canadian First Nations Writing. Ed. 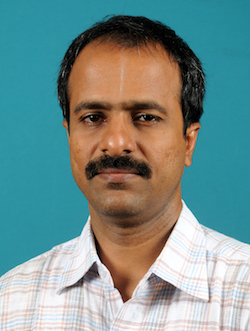 M. Dasan. Calicut: University of Calicut Press, 2003. pp. 261-280. Tripathy, J. & Mohapatra, A. Trans. “Fakirmohan Senapati’s Novels: A Study in Odisha’s Social History”, in Natabara Samantaray: A Reader. Eds. Sumanyu Satpathy and Animesh Mohapatra. Sahitya Akademi: New Delhi, 2017. Pp. 141-154. Tripathy, J. Trans. “Mad Bhagia’s Testimony”, in Natabara Samantaray: A Reader. Eds. Sumanyu Satpathy and Animesh Mohapatra. Sahitya Akademi: New Delhi, 2017. Pp. 170-179. Tripathy, J. “Academic activists and the tricks of their trade”. Satyavijayi, April 2018. Pp. 30-33. Completed Inter-disciplinary Bridges in Indo-European Studies (IBIES), a research initiative (2013-2016) by Erasmus Mundus Programme of the European Union (with Sudarsan Padmanabhan). Completed January 2010-2011 Prestigious European Commission project for Establishing Contemporary EU Study Centres in India in the Department of Humanities and Social Sciences, IIT Madras (with Sudarsan Padmanabhan). Completed a research project The other Side of Gender sponsored by Indian Council of Social Science Research (ICSSR), New Delhi in 2012. Completed a research project The Colony before Raj: Problematizing the Myth of Indian Colonial History sponsored by IC & SR, IIT Madras in 2009. Organized a three-day seminar After Globalization sponsored by Indian Council of Social Science Research (ICSSR), New Delhi in 2007. Completed a minor research project Heterosexuality and Power play sponsored by UGC, Kolkata in 2004.